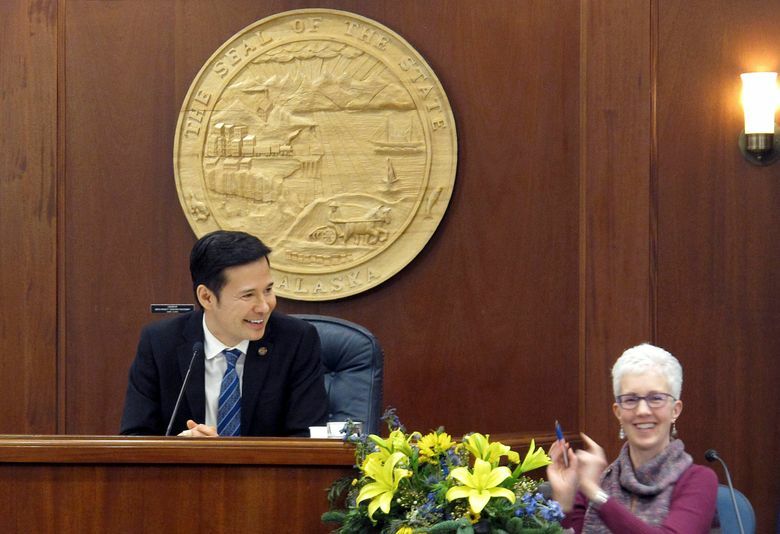 JUNEAU, Alaska (AP) — The Alaska House elected a temporary speaker and swore in its newest member Thursday, steps legislative leaders saw as significant amid ongoing efforts to organize a majority. It was not clear how close the sides were to organizing and electing a permanent speaker, though lawmakers said efforts would continue. Democratic Rep. Neal Foster of Nome was elected temporary speaker, 35-4, after the nomination of Big Lake Republican Rep. Mark Neuman failed. 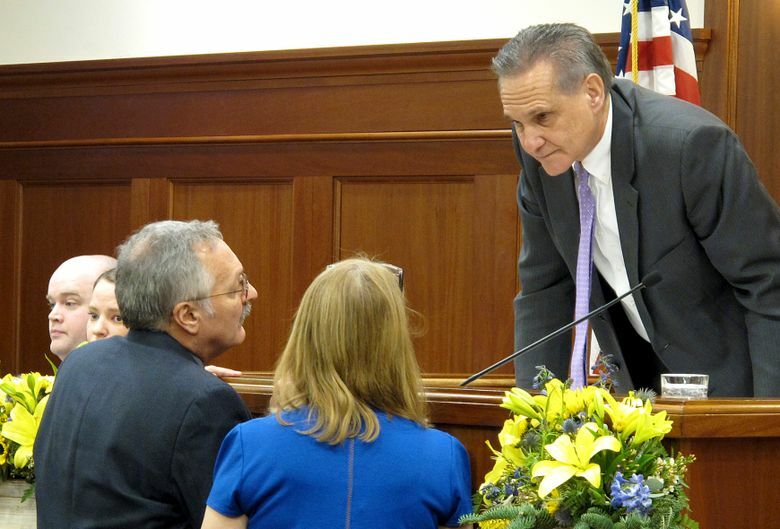 Both Foster and Rep. Dave Talerico, a Republican leader from Healy, chalked up Foster’s win to lawmakers wanting to avoid a drawn-out fight for the spot and to get Republican Sharon Jackson sworn in. Foster swore in Jackson to the Eagle River-area seat vacated by Republican Nancy Dahlstrom, who was elected in November but became Gov. Mike Dunleavy’s corrections commissioner before the legislative session began. Foster and other lawmakers said his powers beyond that as temporary speaker are extremely limited. With no committees in place, bills can’t be introduced. 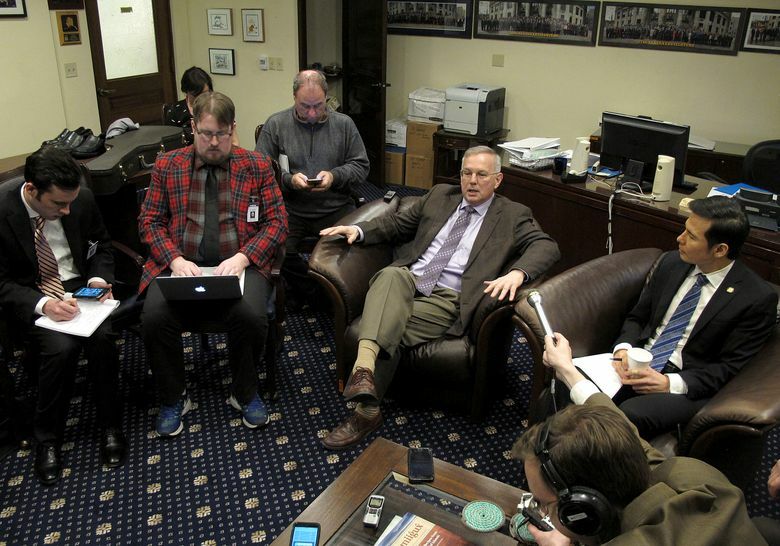 There was some question, too, about whether the House could accept Dunleavy’s request for a joint session to deliver his State of the State speech Tuesday. Foster said it would be nice if his powers could allow for that but said the parties would have to agree. Republicans hold 23 seats, which would be enough for a small majority in the 40-member House. But party doesn’t always dictate how lawmakers organize. Two Republicans have indicated a desire to be part of a coalition. A third wants the parties to work together. 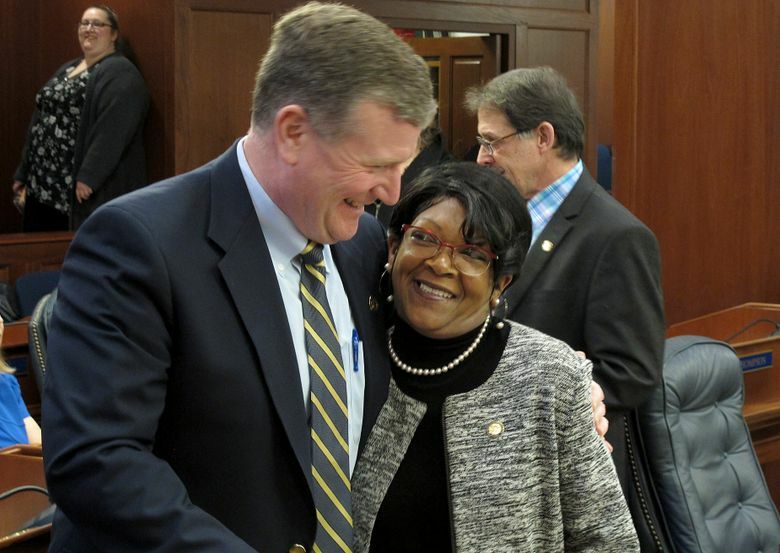 A disagreement over procedure Tuesday, the first day of session, delayed Jackson’s swearing in. Jackson participated Wednesday in a purported swearing-in ceremony conducted by a deputy clerk at a courthouse across from the Capitol. But the Department of Law told Lt. Gov. Kevin Meyer’s office it did not constitute an official oath of office. Meyer presided over the House until the temporary speaker was elected. In explaining the courthouse event, Jackson indicated she had been eager to get to work for her constituents. Meanwhile, Jessica Geary, executive director of the Legislature Affairs Agency, said a letter signed by House members ensures that staff can remain on the payroll until the House is organized to do business. The Legislature’s human resources manager had warned last week that a temporary staffing authorization would expire the first day of session. Thirty-nine members signed the letter dated Wednesday; Jackson had not taken office yet.